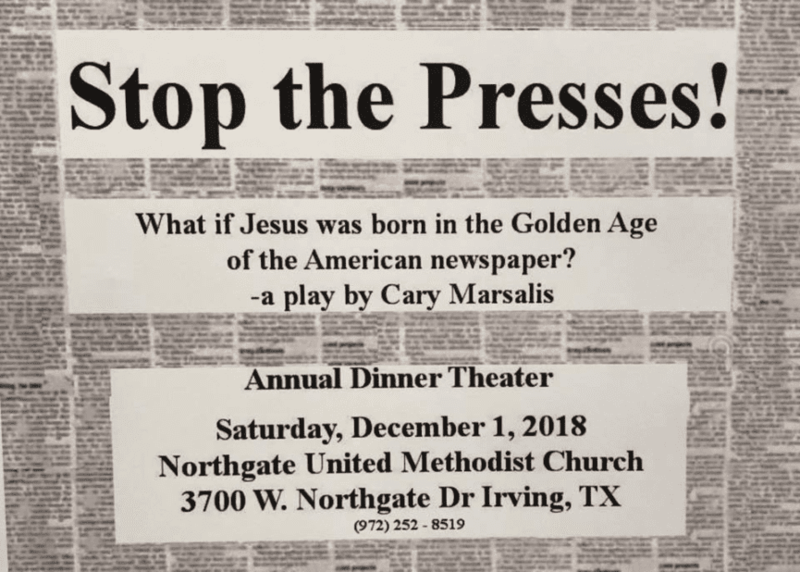 If you missed the Northgate Players’ production of Cary Marsalis’s “Stop the Presses” last Saturday night, you really missed something special. Lots of fun and laughs, good food, and a great way to kick off the Christmas season. Thanks to all who helped make it such a success! 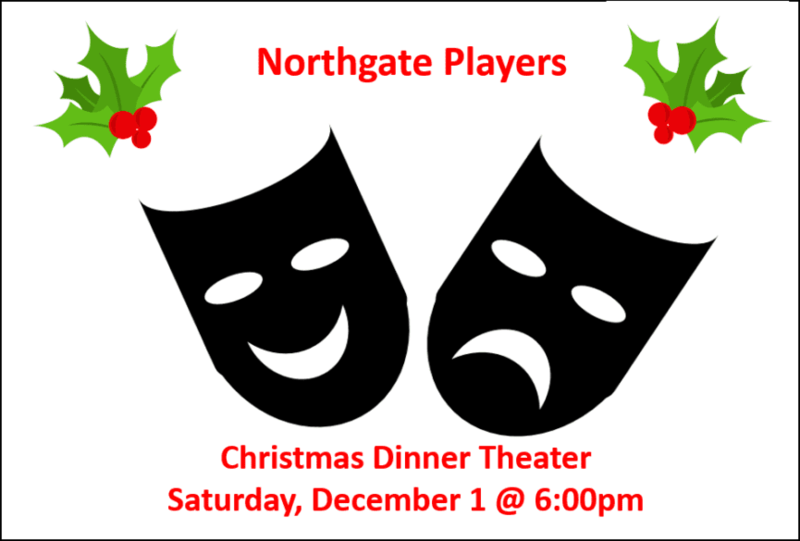 The Northgate Players Christmas Dinner Theater production of “Stop the Presses” is Saturday, December 1st @ 6:00pm. Tickets are $12/each (4 or more for $10/each), including BBQ dinner with all the fixins’! 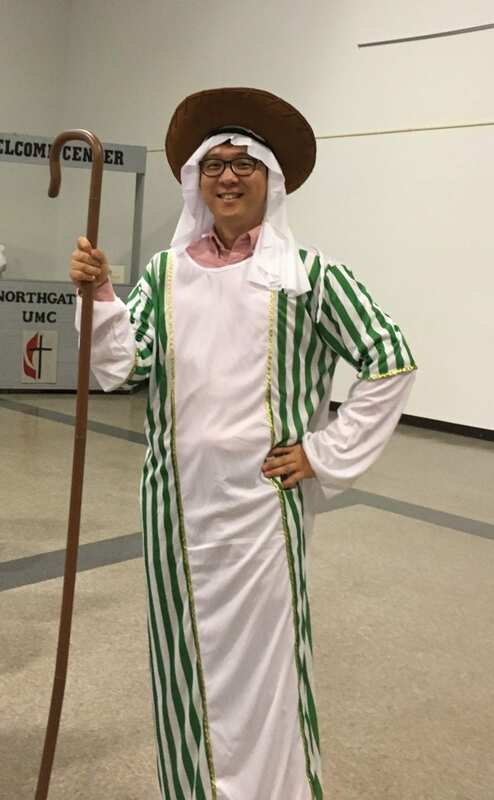 If you can’t make the performance, come see Dress Rehearsal on Friday (11/30) @ 6:30pm. A $5 ticket includes a slice of pizza and a drink. 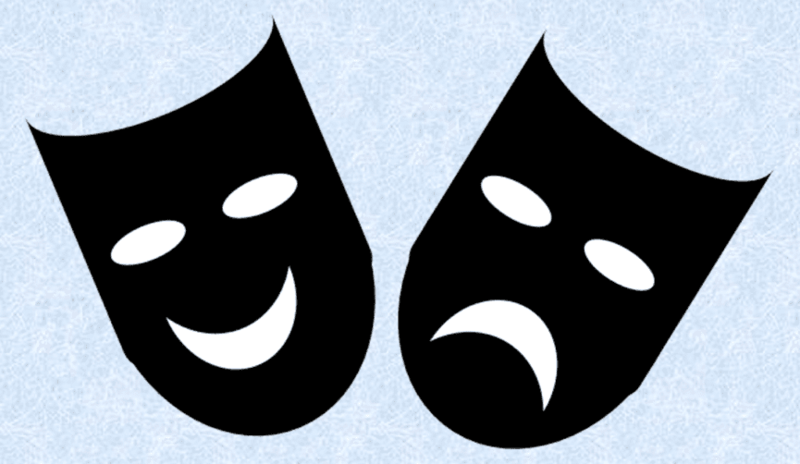 Lasagna & Laughter – Random Dinner Theater Returns Aug 5! The Northgate Players are back in action on Sunday night, August 5th, at 6:00pm! Please mark your calendars NOW for a fun evening of improvisational theater. The lasagna dinner is free (donations accepted) – and the laughs are on the house. Come join us for this very special event! 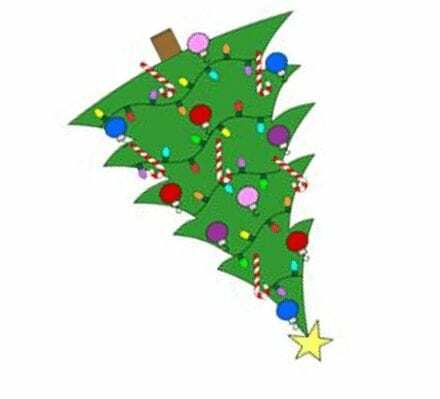 Merry Christmas from the Northgate Players! 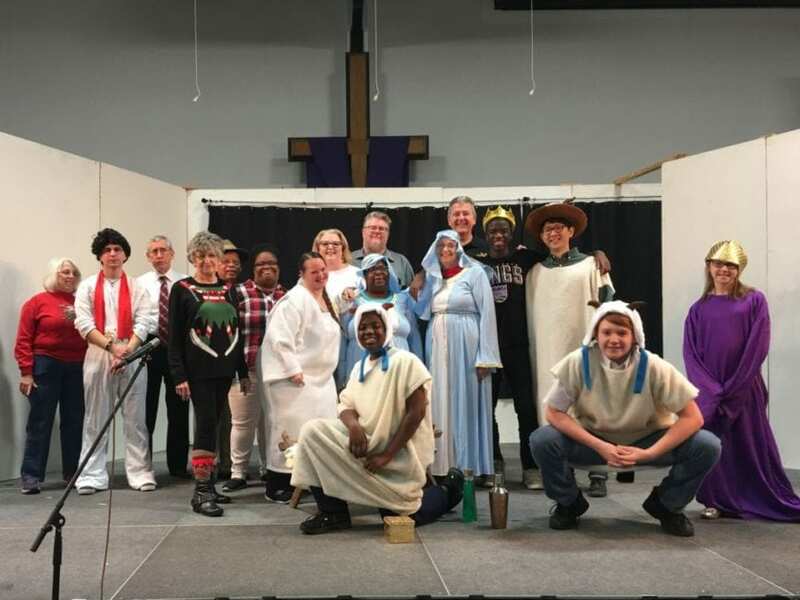 Northgate Players Annual Christmas Dinner Theater – December 16!